Positively Negative Thank You Note | I Played With Paper Today! 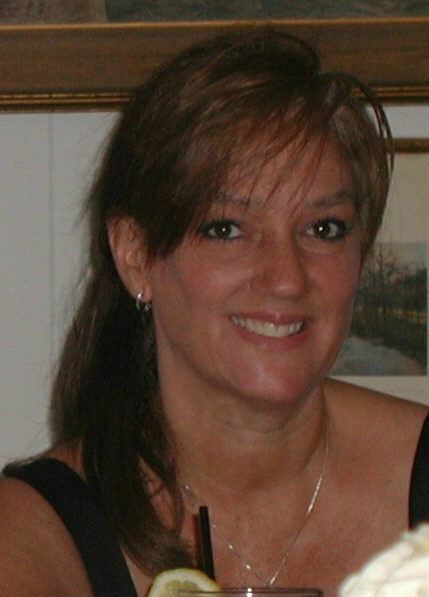 I am so excited to have been asked to be the guest hostess for this week’s Mod Squad Challenge! 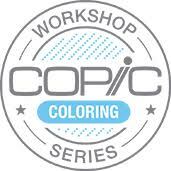 The negative is the piece of paper (or other medium) from which the shape or shapes were cut. There are many different ways you could use the negative. You could do Confetti Cluster Stamping using the negative as your template. You could do Reverse Masking to create a background for your images. You could use the actual negative on your project. Stencils are negatives, too! These are just a few examples of ways to use the negative on your project. I needed to make a few thank you notes and wanted to create something that was easy to duplicate and wouldn’t require extra postage or a trip to the post office! 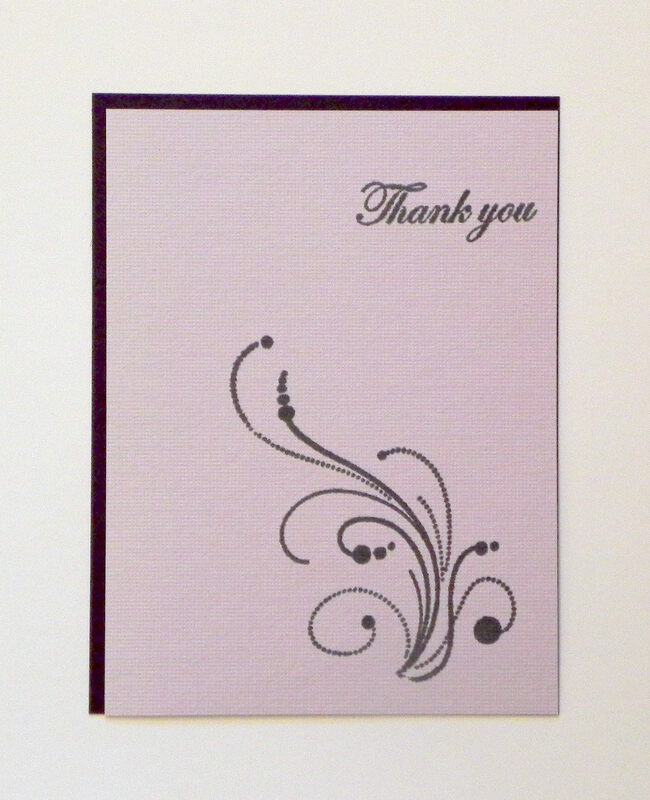 Using Gina K “Edible Eggplant” ink, I stamped my flourish (from Inkadinkado’s “Dot Flourishes“) and greeting (from Gina K Designs “Thank You Duo“) on a piece of Bazzill “Infatuation” card stock. 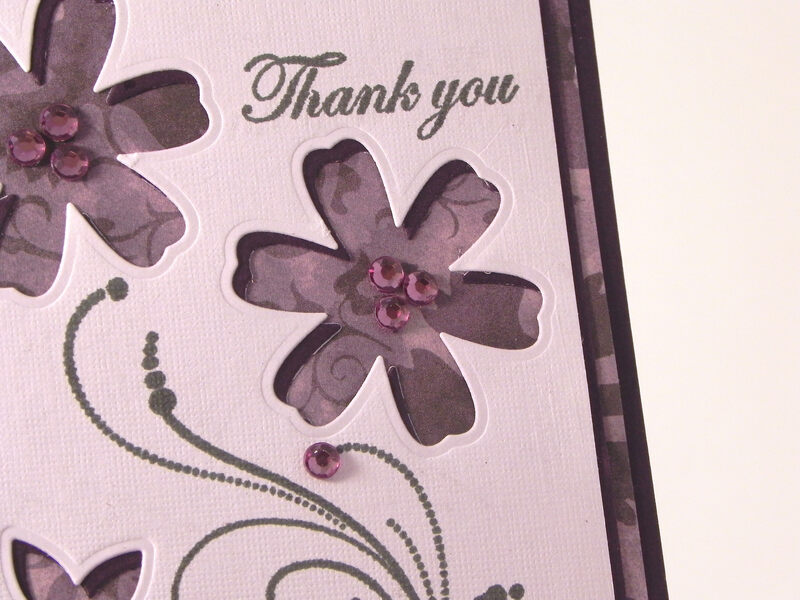 … and die cut the flowers (through both panels at once) using dies from the Momenta Flowers 2 (Lot 004798) die set. (I added a bit of repositional adhesive to keep the two panels in place temporarily.) Once the flowers were cut, removed (and saved for a later project! ), I centered the lighter purple panel on the darker one. This caused the cut-outs to be slightly offset creating a partial “shadow” effect. It didn’t go around the flowers perfectly or completely, but it was enough to add a little contrast between the light panel and the patterned paper. This matted panel was adhered to the patterned panel (“Dark Plum Damask” – Sonnets by Sharon – Creative Imaginations) and then to an Edible Eggplant card base. 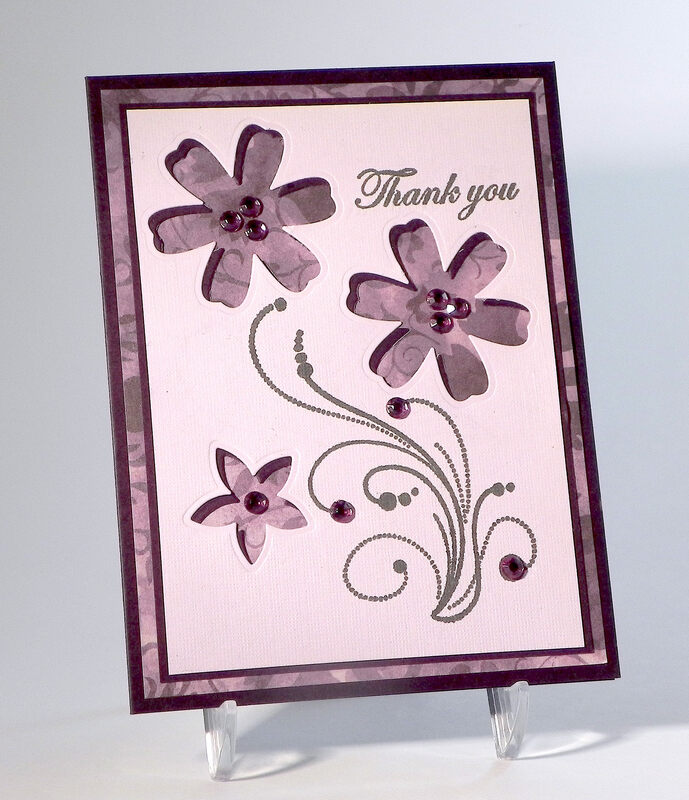 Lavender Gem Stickers (Martha Stewart Crafts) were added to the centers of the flowers and on the flourish. 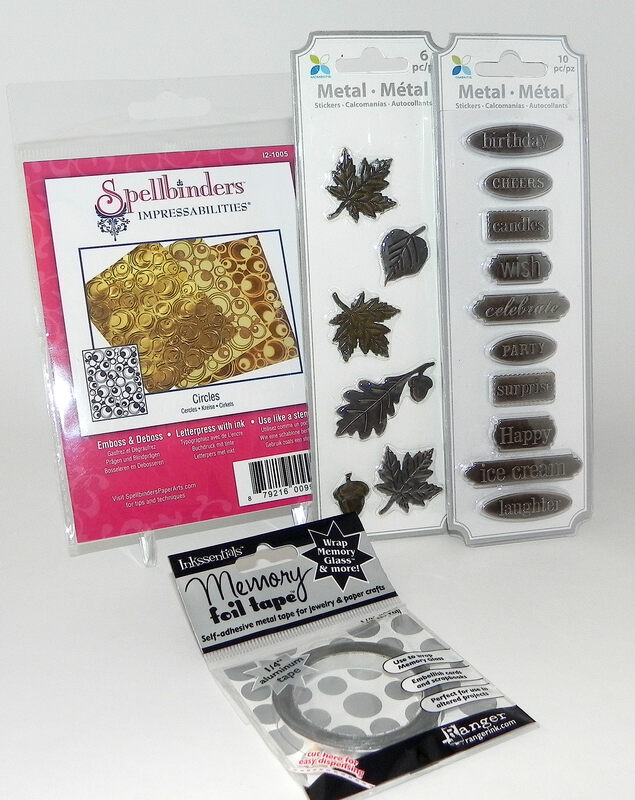 The Mod Squad Challenge prize (for a randomly drawn winner) is “stuff” from my stash [Spellbinders “Circles” Impressabilites (which can be used as a stencil if you don’t have a machine for embossing), two packs of metal embellishments, and silver foil tape. 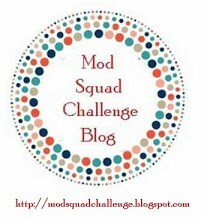 Join us for the Mod Squad “Positively Negative” Challenge this week. (Details on the rules can be found HERE.) I can’t wait to see what you create! Thanks for checking out my card project and post! Beautiful card and gorgeous colors for it.